GloFX Electroluminescent Wire will light up the night. Our EL Wire does not heat up while in use so it is great for any costume or party. It is durable yet flexible, which makes for easy installation and repeated use. Uses a very small amount of electricity, which allows for longer running times. 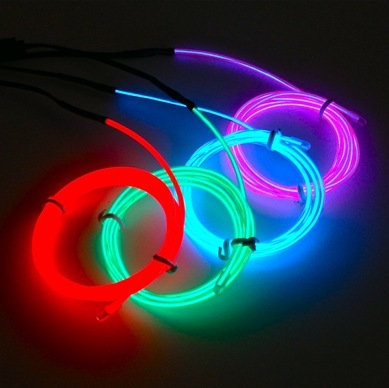 Light up anything with GloFX’s extra bright Electroluminescent Wire!